The first soft comet landing Nov. 12 showed us how space missions can quickly drift to the unexpected. Philae’s harpoons to secure it failed to fire, and the spacecraft drifted for an incredible two hours across Comet 67P/Churyumov–Gerasimenko before coming to rest … somewhere. But where? And can the orbiting Rosetta spacecraft find it? That’s been the obsession of the European Space Agency for the past couple of weeks. Controllers have pictures from Philae during its descent and brief science operations on the surface. 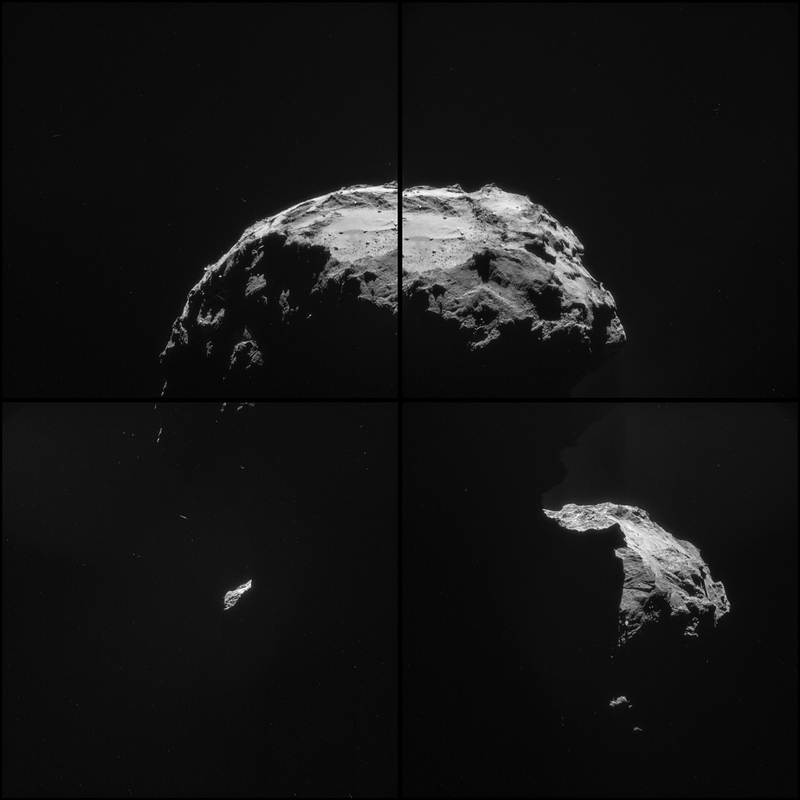 They’ve managed to capture the little lander in incredible photographs from Rosetta. But the key to finding Philae will likely come from a different experiment altogether. The experiment is called the Comet Nucleus Sounding Experiment by Radio wave Transmission (CONSERT) and is a piece of work between both lander and orbiter. Rosetta sent radio signals to Philae on the surface to get a better sense of what the insides of 67P are made of. But it turns out it can also be used to pinpoint the lander. 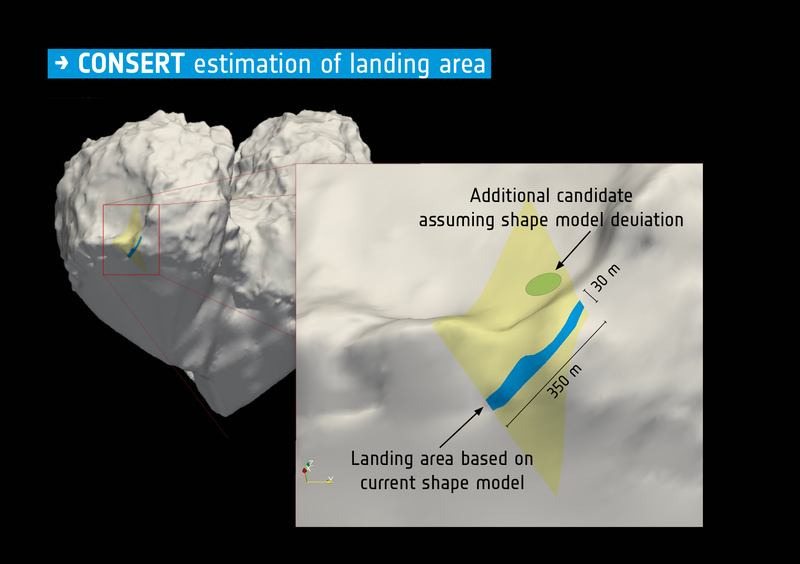 ESA recently released a landing zone of where, based on CONSERT data, it believes the lander came to rest. The next step will be to get the Rosetta spacecraft to examine the area in high-definition. Rosetta, meanwhile, is in perfect health and continues to transmit incredible pictures of the comet, such as this one below released a couple of days ago. The montage you see includes the zone where Philae was supposed to have touched down, but it will take higher-resolution images from the Optical, Spectroscopic, and Infrared Remote Imaging System (OSIRIS) to get a better look.